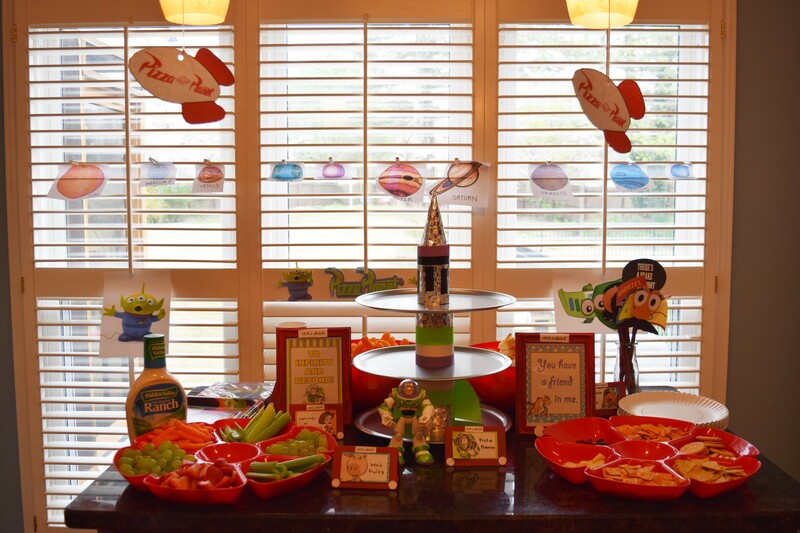 Who said you have to spend a lot to organize your kid’s birthday party? 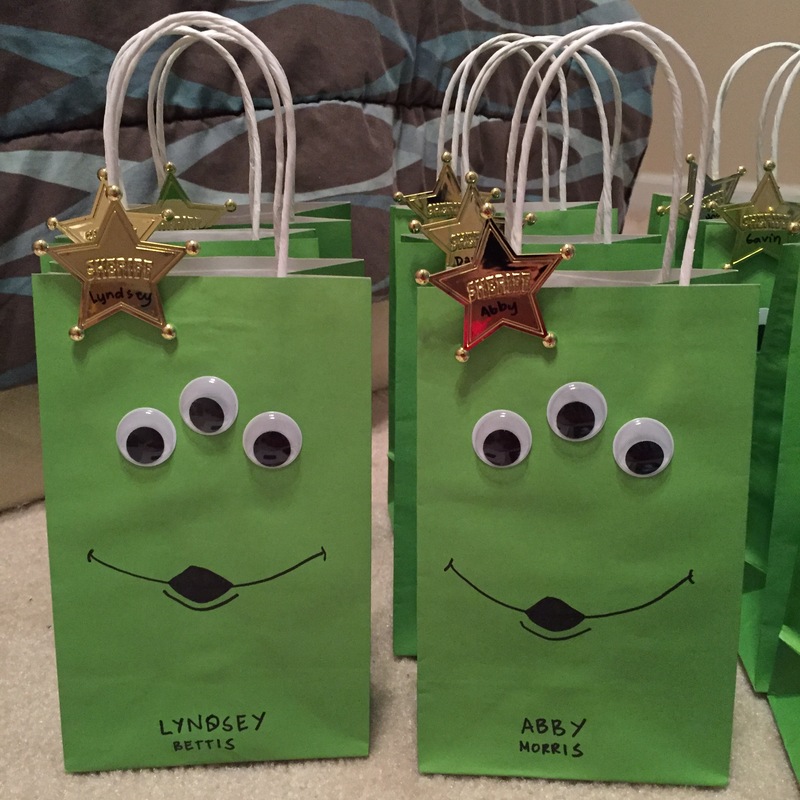 Just check all the resources you have, check the dollar store for anything you need and be creative. 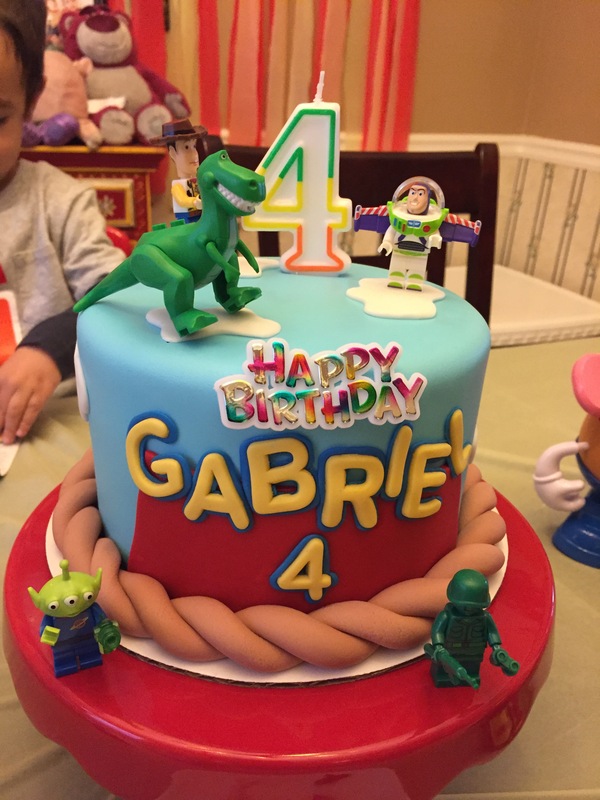 Our son wanted to have a Star Wars and Toy Story themed party so off I went. 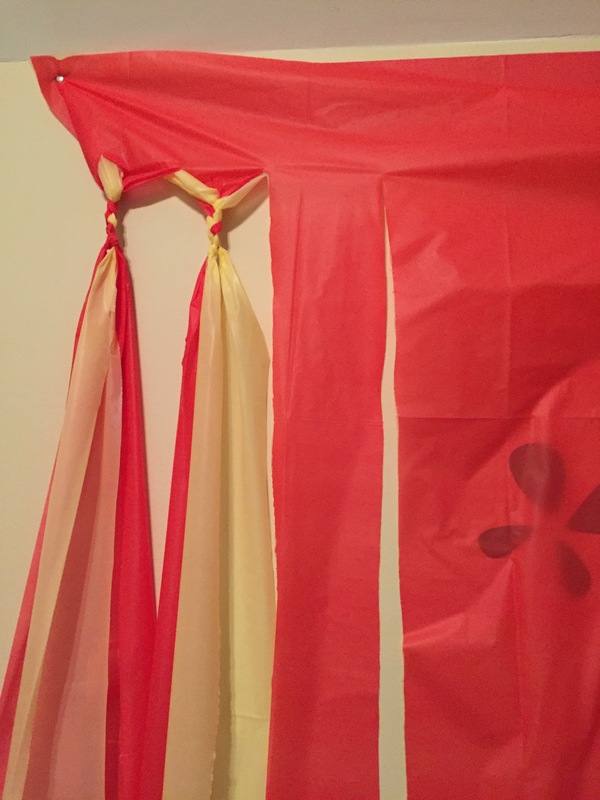 I started making these 3 months prior to the event. 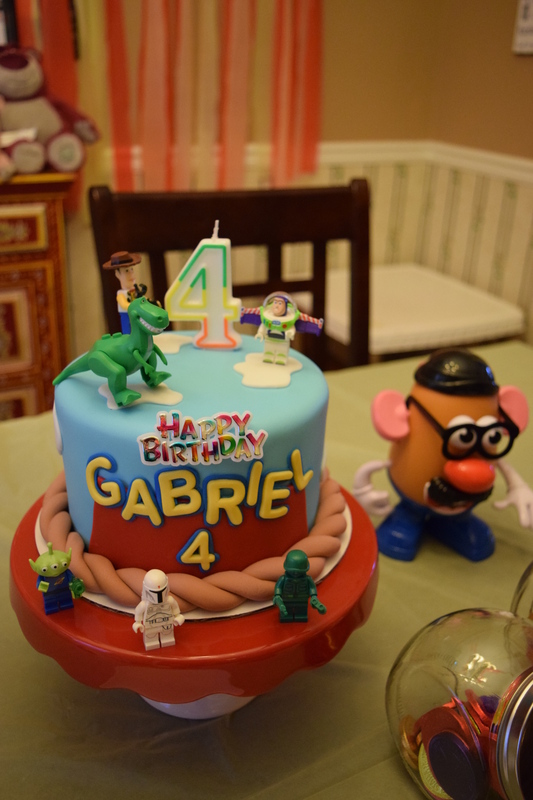 Initially, he wanted a Toy story party then came the Star Wars movie marathon and decided he wants a Star Wars party too. Ask why I’m doing this? 1st, building memories. 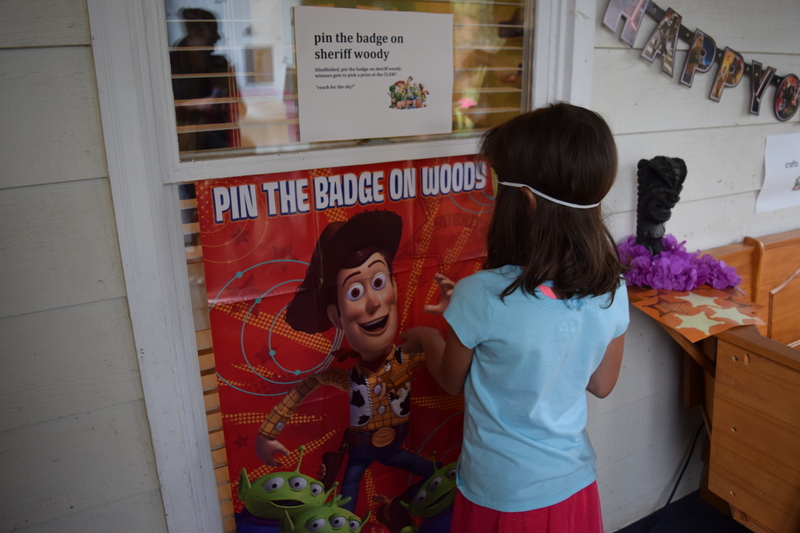 At a young age, kids can remember all the fun memories they had so treasure it. 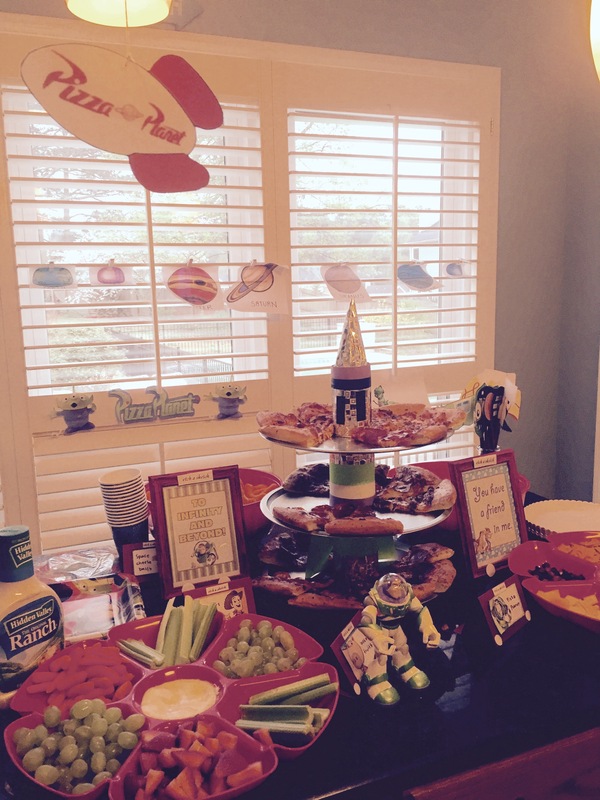 2nd, they won’t ask for big parties anymore when they’re teenagers. We won’t get to spend a lot of time with them when they move out to college so we want to treasure every moment we can have with them. 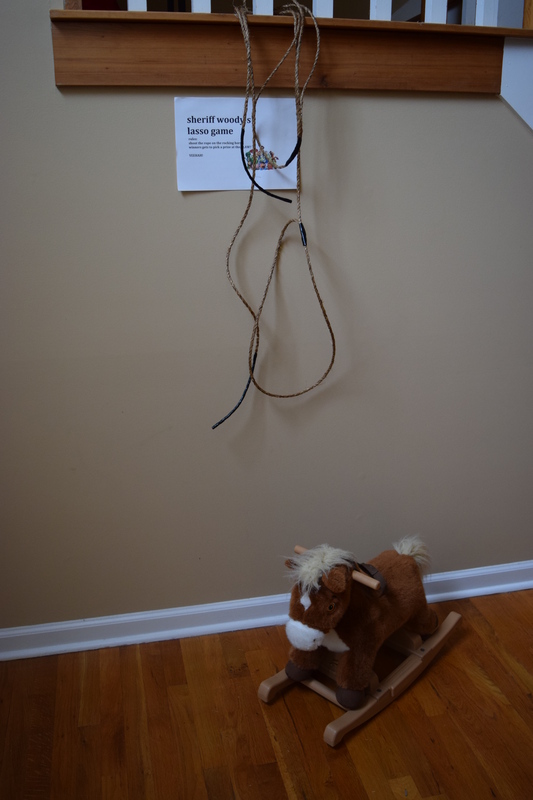 3rd, it’s not over the top since most of the stuff I used is either recycled or stuff that we already have. If we have bought anything, we make sure it will be re-used again. 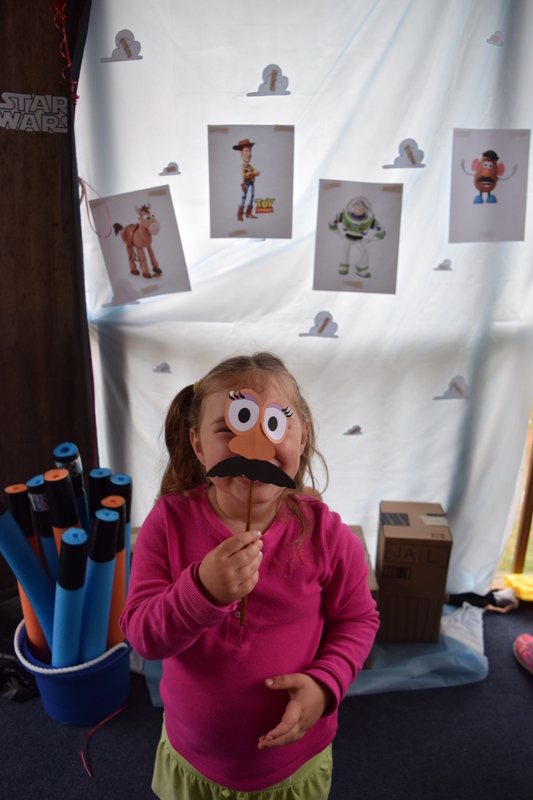 The 1st thing I did was print all the characters from Toy Story. 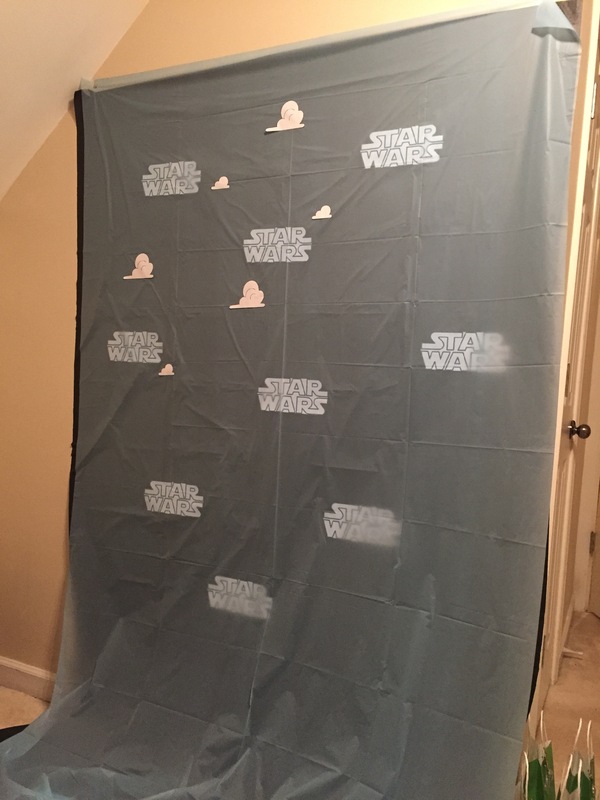 I printed banners. 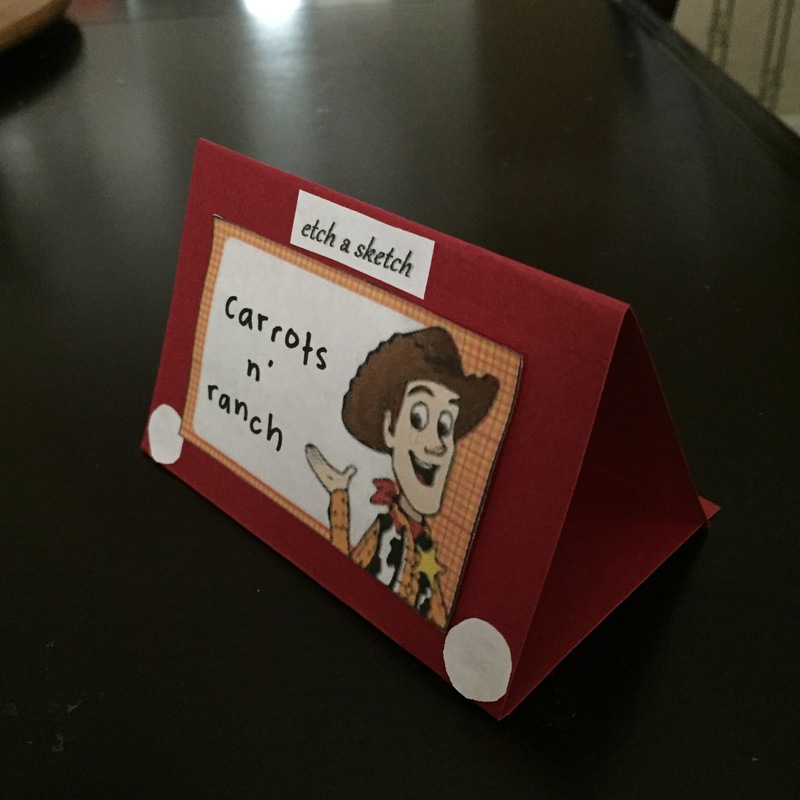 I made invitations. 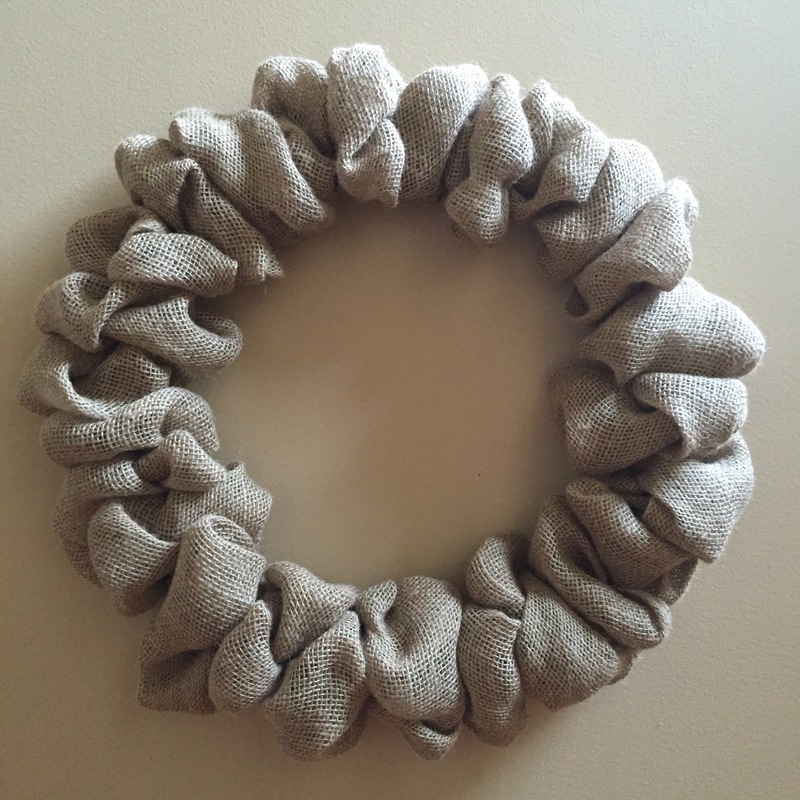 I already made this burlap wreath. 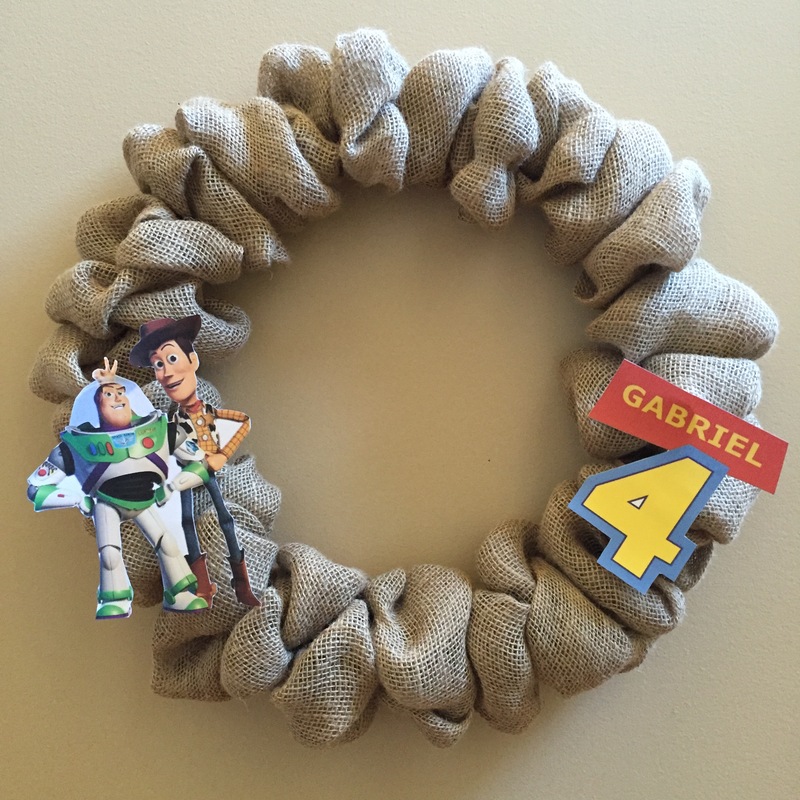 I used a glue gun and chenile stems to stick the Toy story print outs at the wreath. Aliens bowling game from recycled pediasure bottles. Potato head can toss from recycled soup cans. I made the beanbags too. 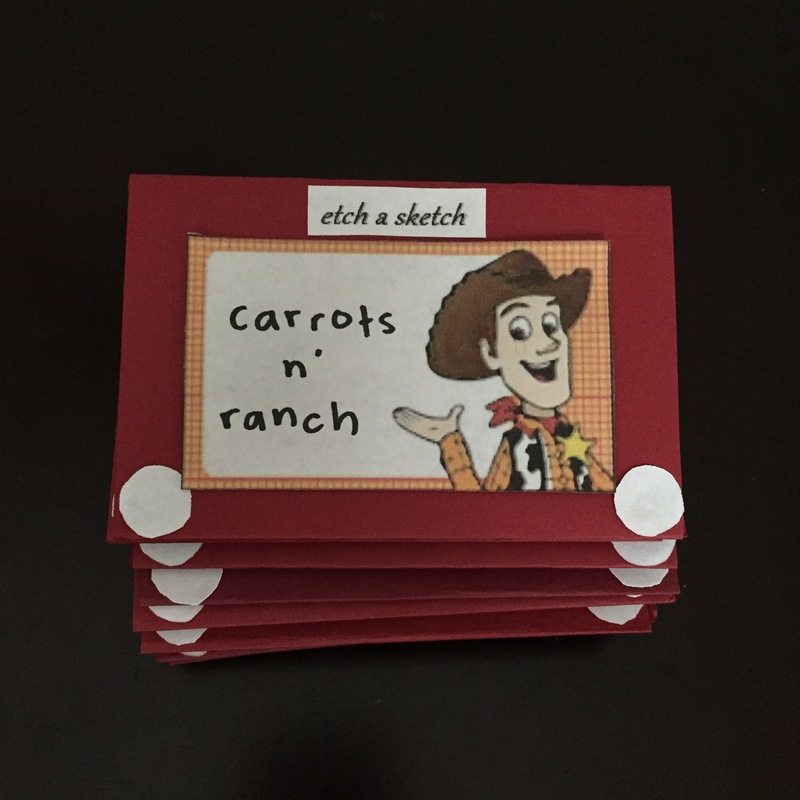 Etch a sketch frames for the table. I got the frames from the dollar store. 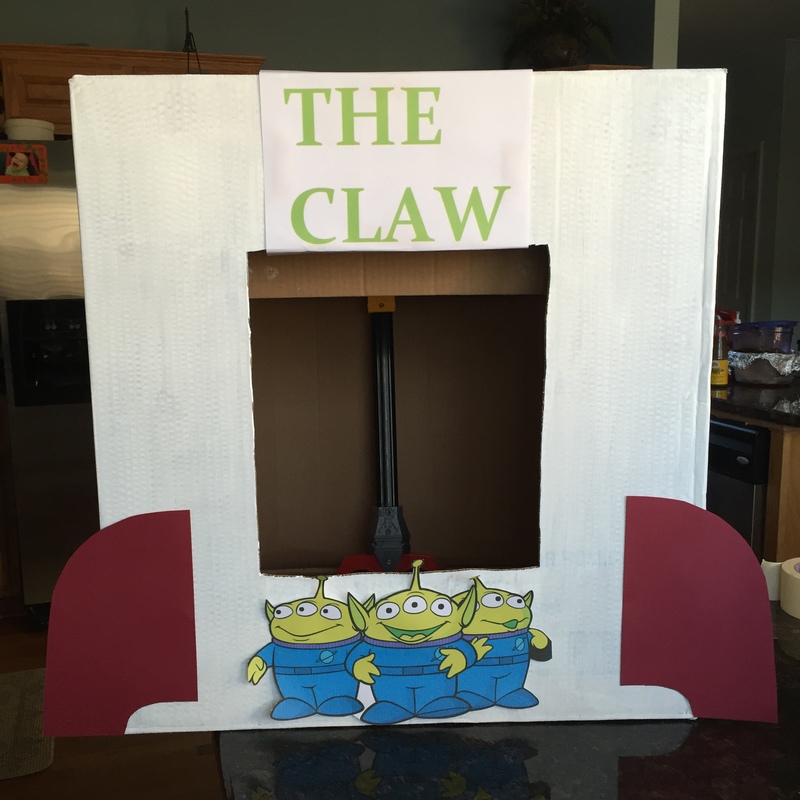 The claw from a recycled box. 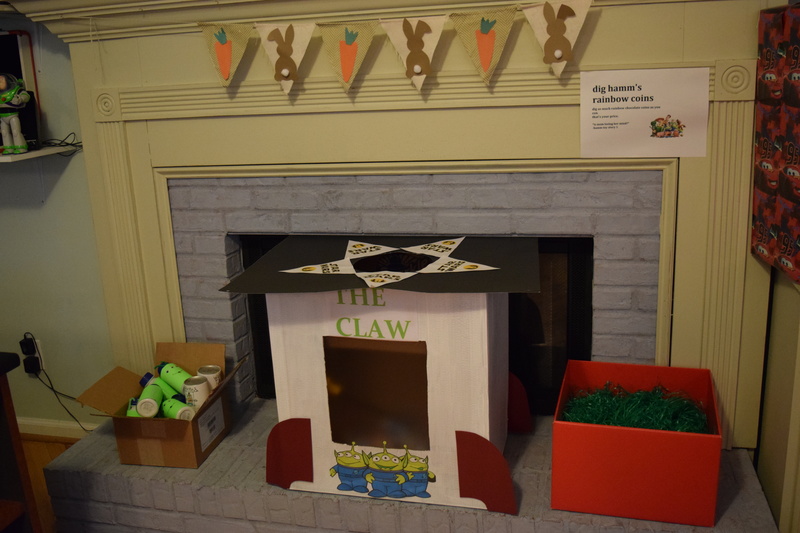 We already had the grabber so I figured instead of having a piñata, the kids will be eager to play the games and when they win, they can get the prizes from “the claw” using the grabber. 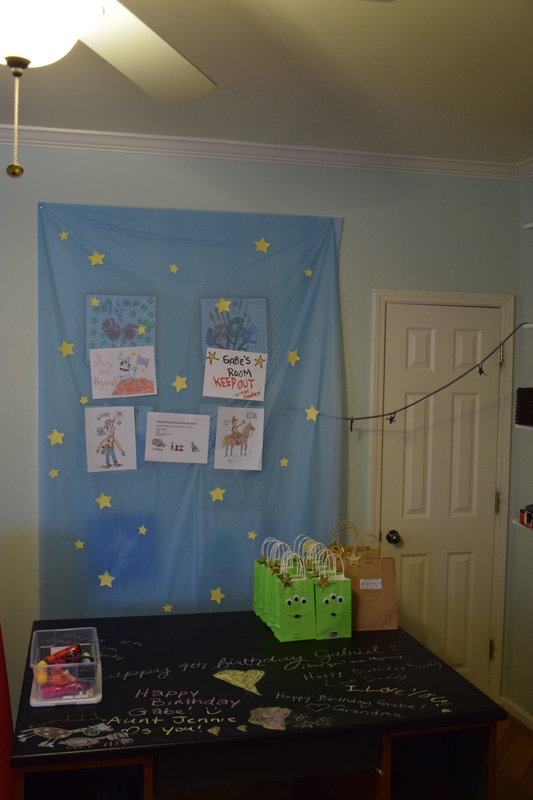 Recycled boxes for the photo booth. 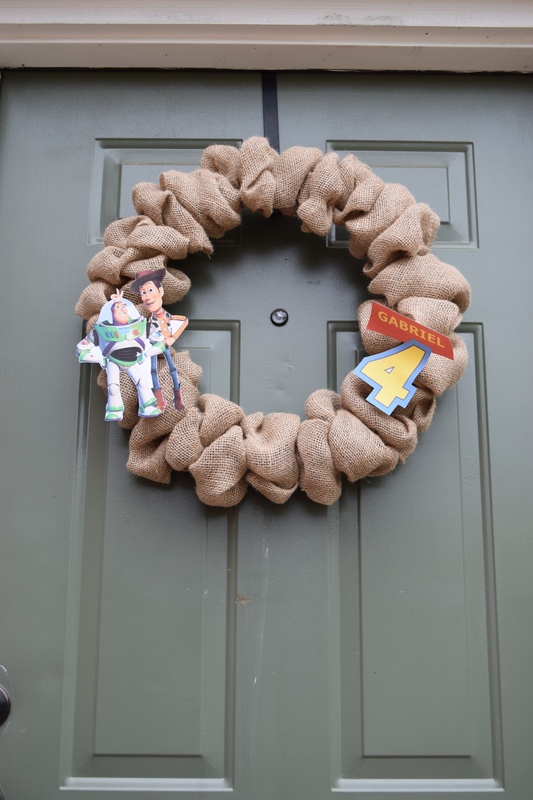 Inspired by Toy Story 1. I got these cute blank books at Target bullseye section. These books were 8pcs for $3. What a great deal. 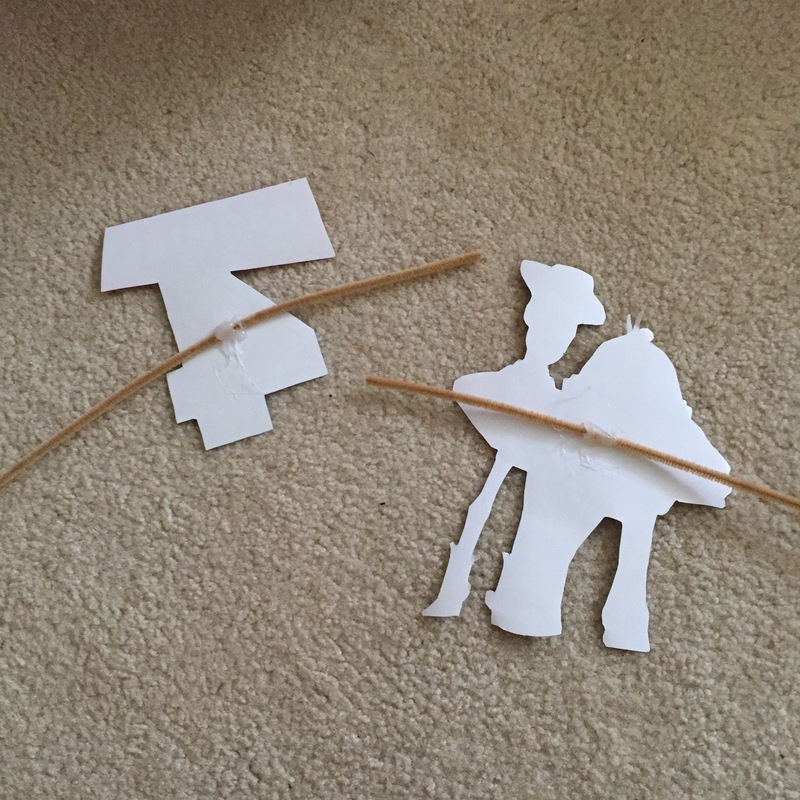 I was able to find Star Wars and Toy story activity pages on Pinterest. Printed, cut and glued on each page. 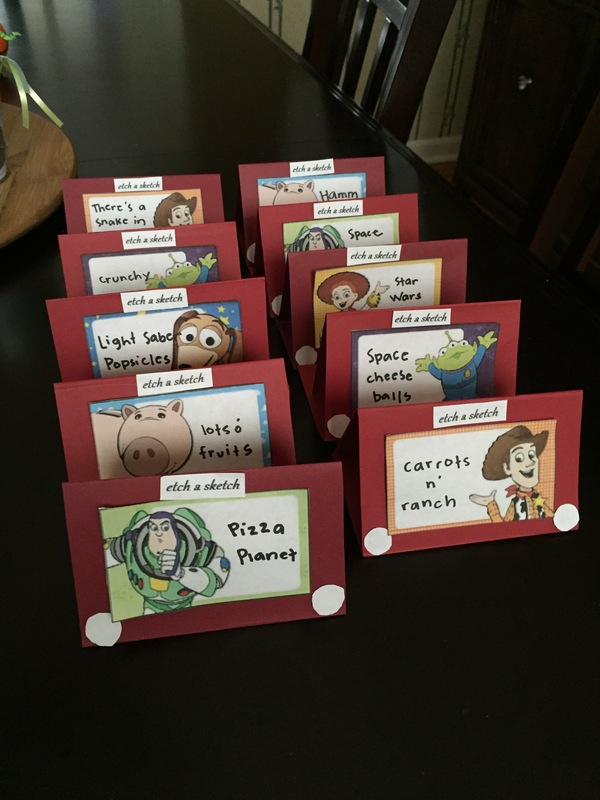 I printed the food labels and attached it to 1/2 size red card stock paper. Folded it in 3 so it will stand by itself. Then I printed small etch a sketch signs on top and cut small circles for the bottom. 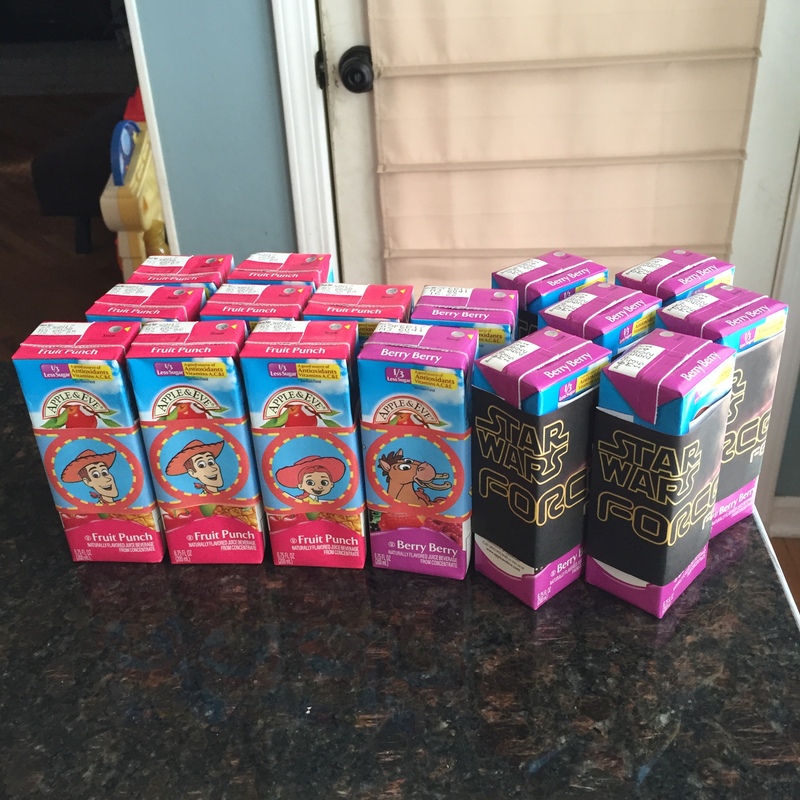 For the juice box labels, I found it on Pinterest. I will post it later. 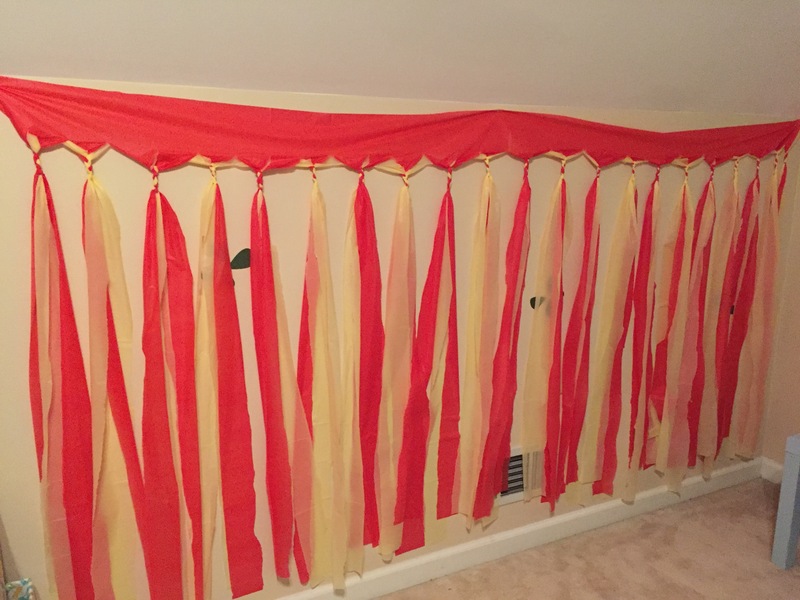 For the background, I used a yellow and red table cloths. I cut it vertically from bottom to top leaving atleast 4 inches on top so it doesn’t rip all the way. I cut about 2 inches thick. 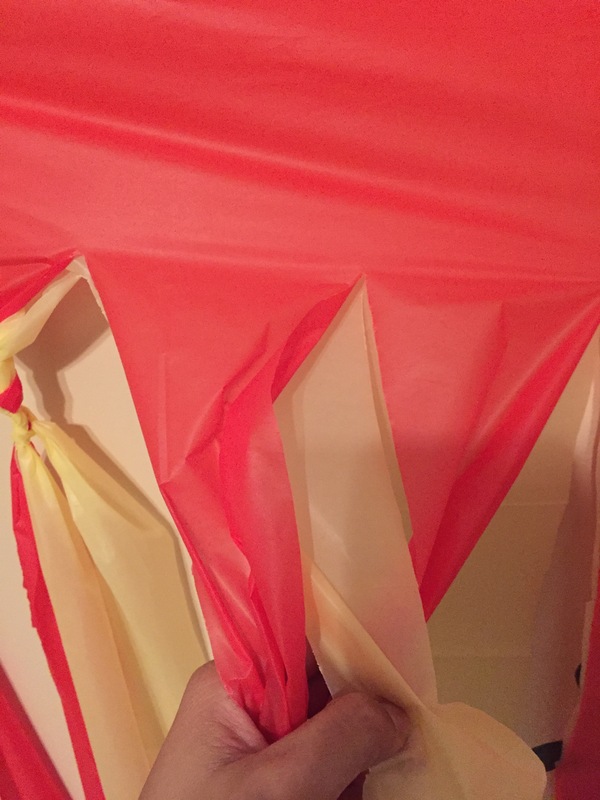 Then I braided the top part to attach the 2 tablecloths. 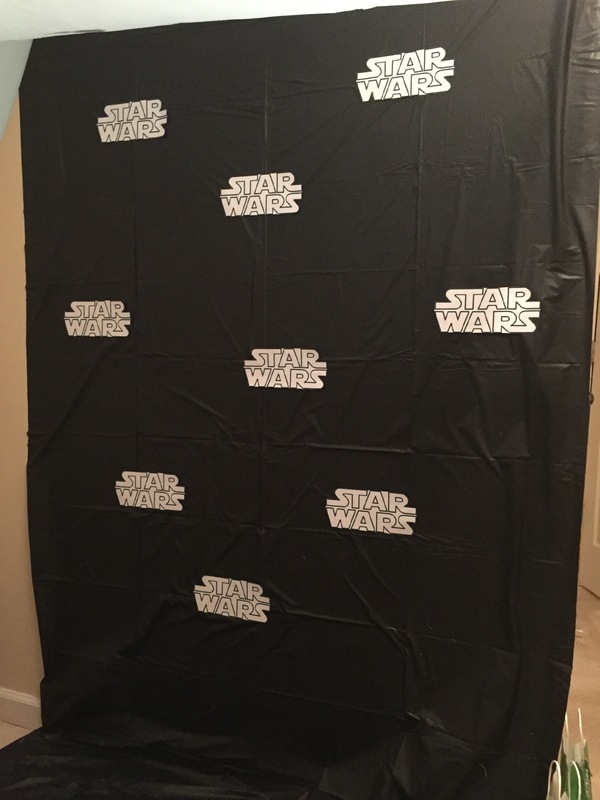 For the photo booth, I used a black table cloth for the Star Wars theme. 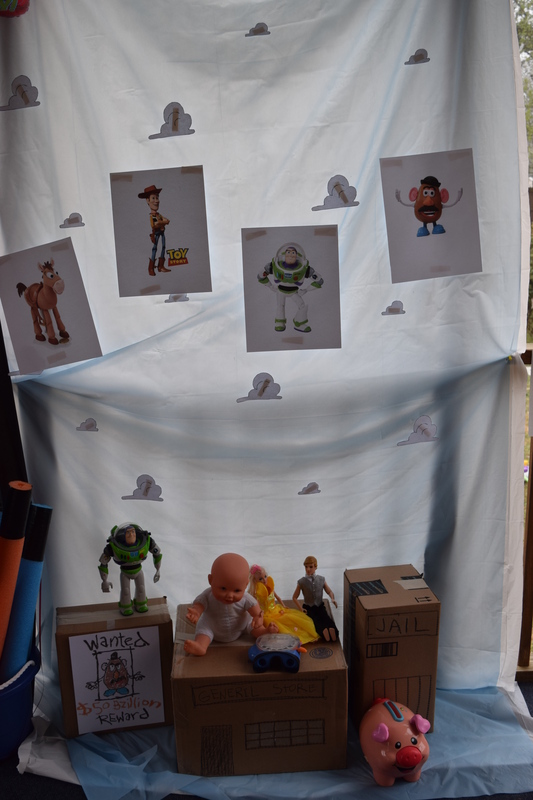 For the Toy Story, I used a light blue table cloth. I printed a couple of Star Wars logo, white clouds and yellow stars from Andy’s room in Toy Story 1 and 3. 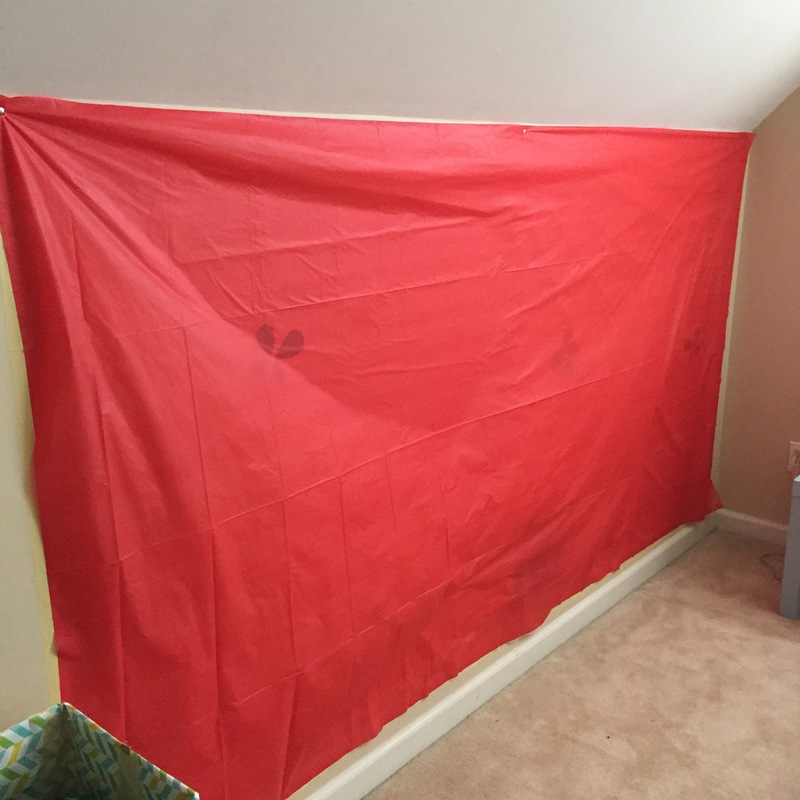 I cut and stick it with masking tape. 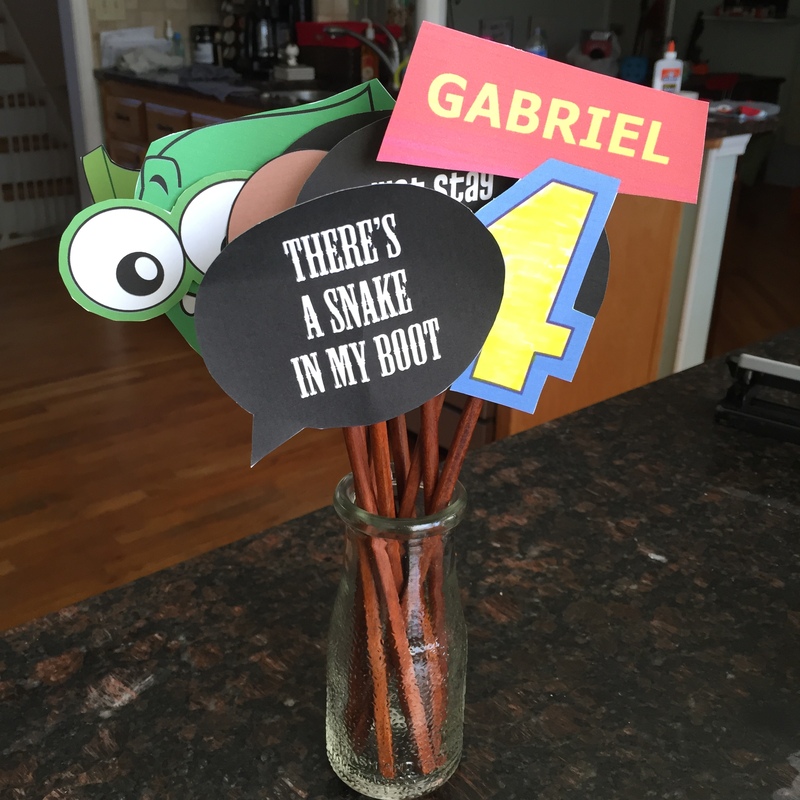 I also found some Toy Story photo booth props on Pinterest and printed it on white card stock paper. I bought plain neon green bags. Attached wobbly eyes and draw the mouth. 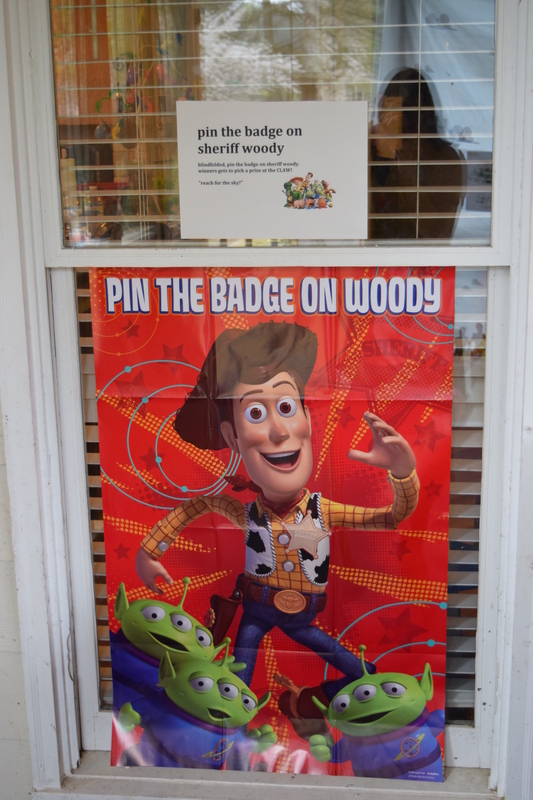 I got some sheriff badges for the name tags. 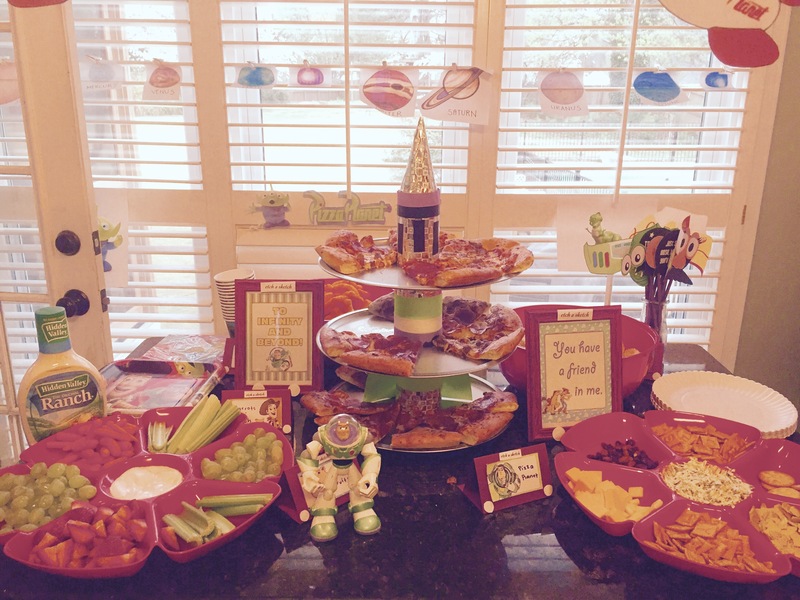 I made a Buzz light year pizza tray which the tutorial is posted in another blog on my website. 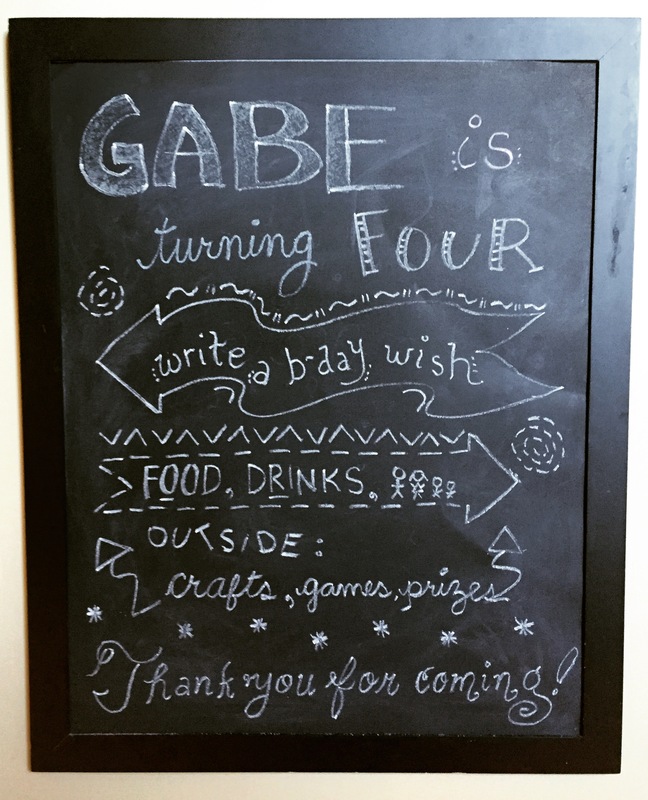 I made signs on a chalk board I made. 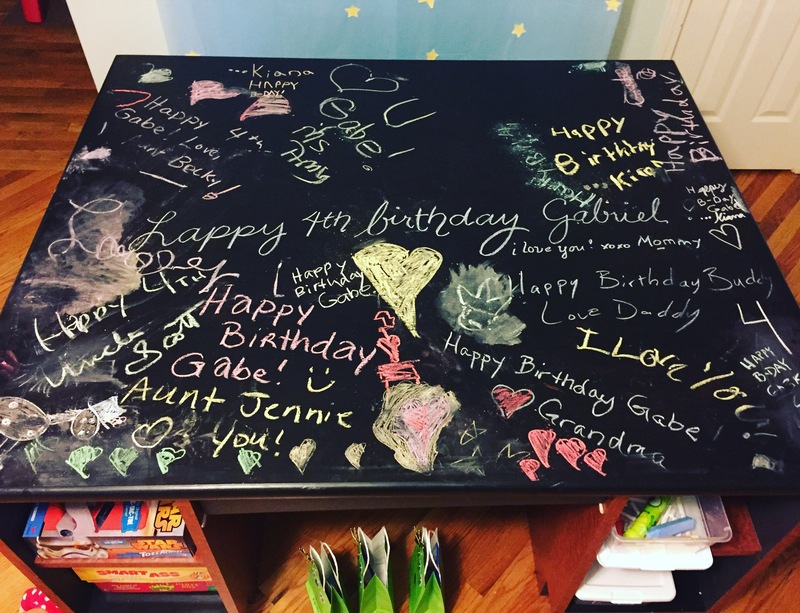 I had Gabe’s guests to write him a birthday message on a table I painted with chalk paint. This will be nice to add in his birthday photobook. 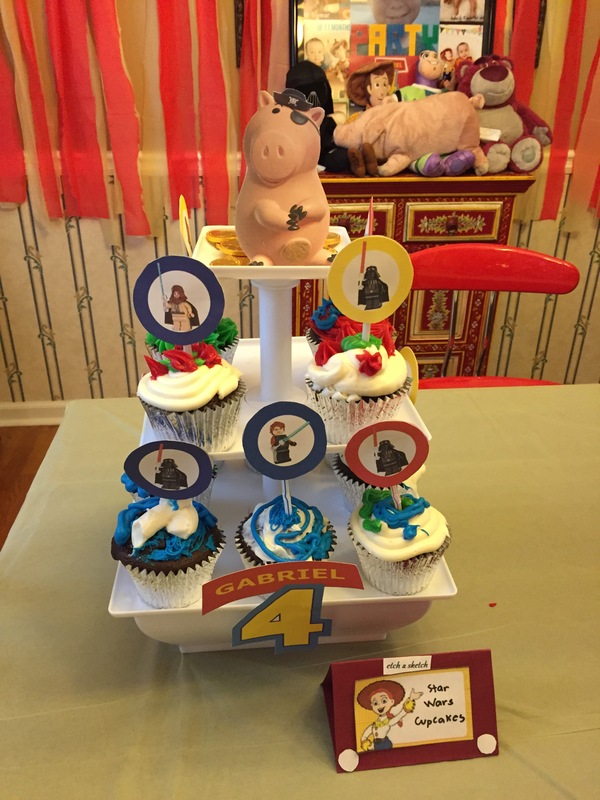 My sis-in-laws made some really cool cupcakes. 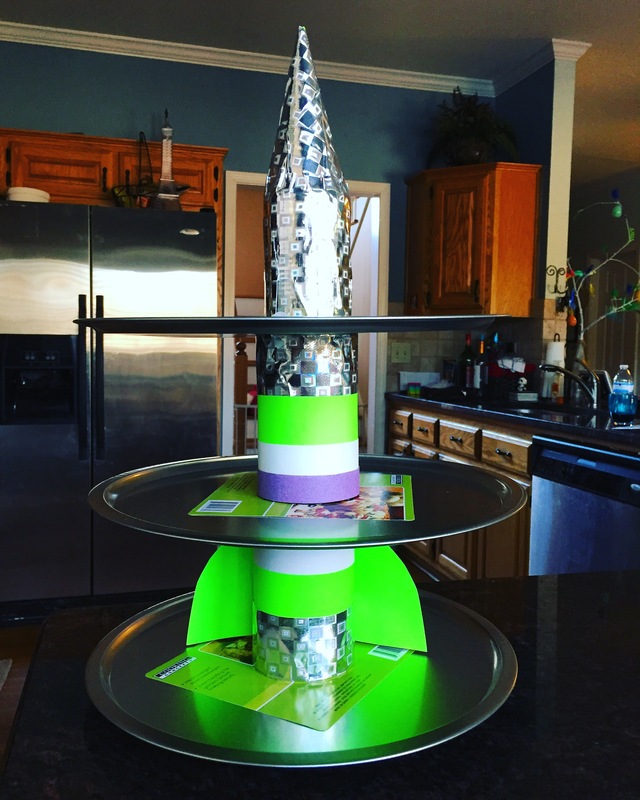 I printed the Star Wars cupcake toppers (from Pinterest) on a white card stock paper and attached a straw. I also printed Hamm as a pirate and added some gold chocolate coins on top. I’ve prepared a lot of activities but unfortunately, it rained so I had to make everything indoors. 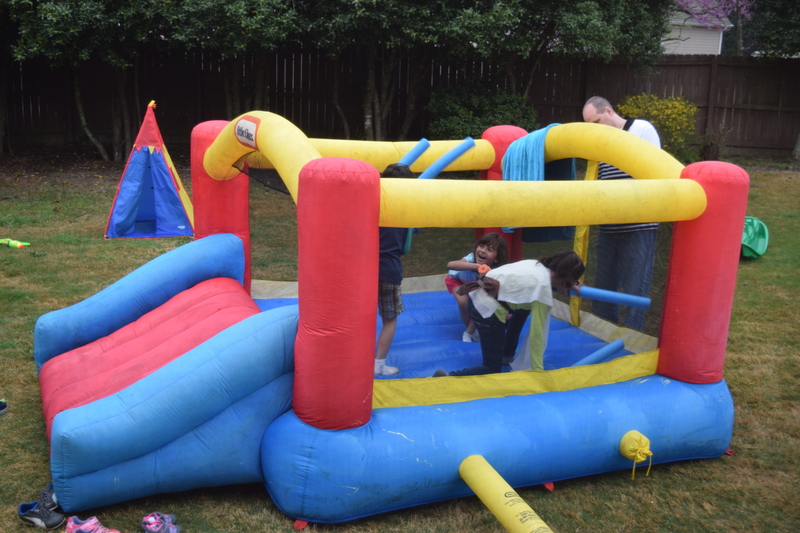 Some of the games wasn’t played but the kids and the birthday boy sure had a blast! 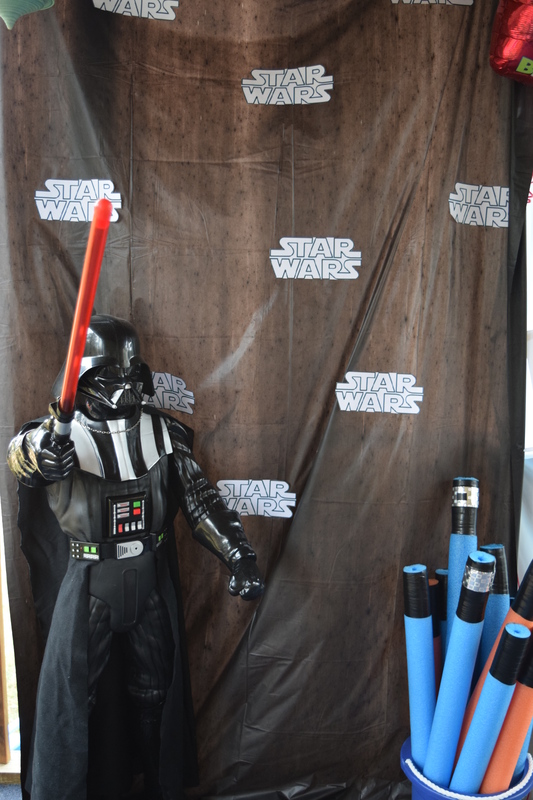 Shoot the light saber on the dark side.